Well, I have just the thing that can change your life! I needed a Super Hero! 1. 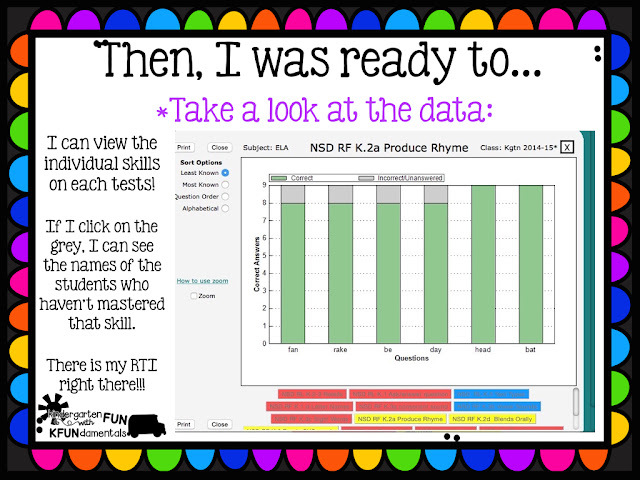 Instant data on EVERY student's skill level. 2. 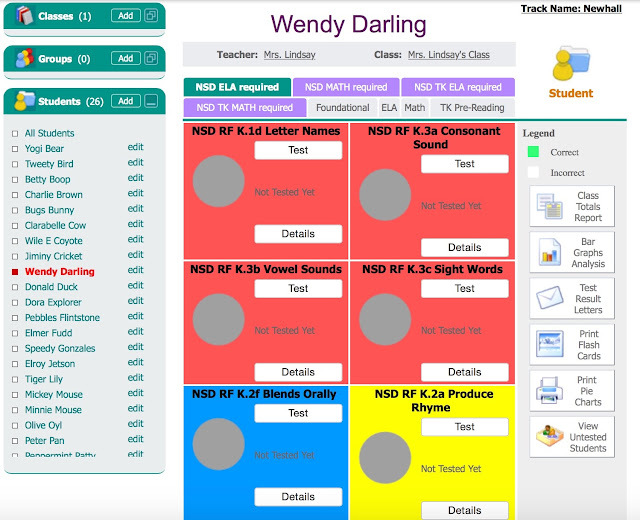 User-friendly reports for parents & admins. one of 10 Amazon Gift Cards! Remember to enter the code KFUN. their gender, & home language. What, You Aren't Using ESGI Yet? 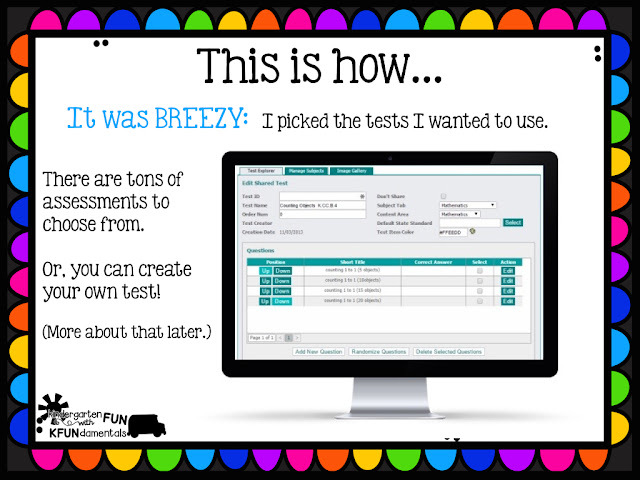 ...but if you need to use specific assessments, just reproduce them using ESGI's built-in test builder. You can create your own unique tests! They even have built-in fonts and graphics to help you. 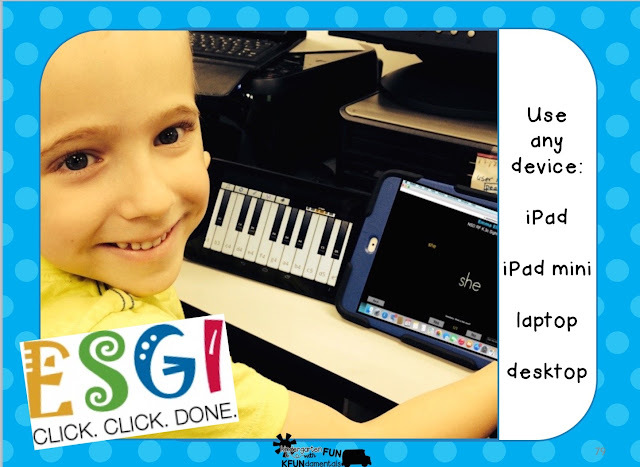 Visit their site and check out their video tutorials and see how easy it is! 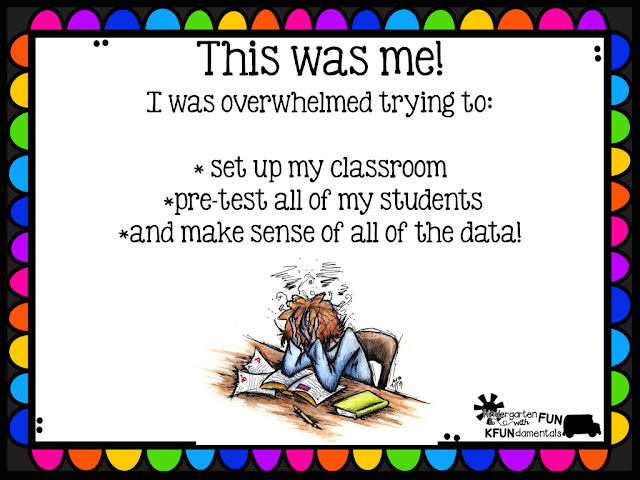 Your students will beg you to test them so they can watch their data circles fill up and turn green! You can test on a desktop, a laptop, or even an iPad. 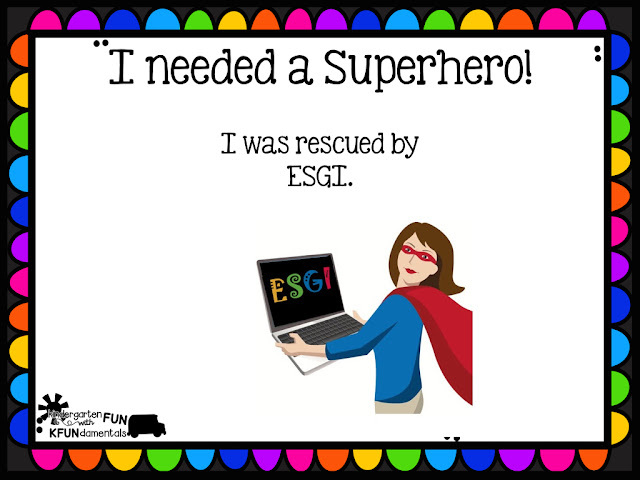 My in-coming students LOVED testing with ESGI. 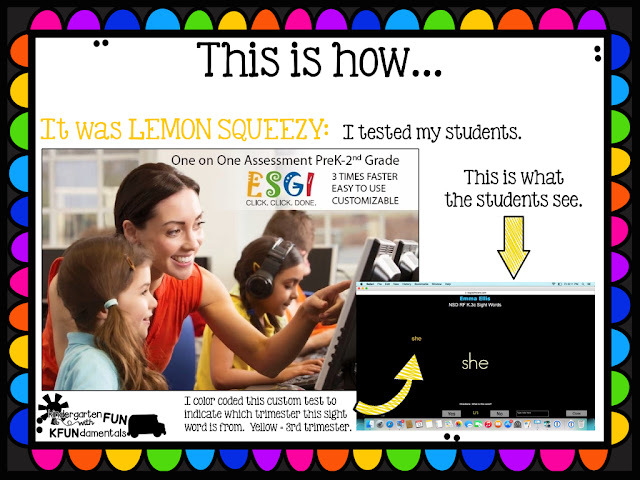 The teacher asks the question seen on the screen and then clicks "yes" or "no" based on the student's answer. Easy, breezy, lemon squeezy! Incredible data on each and every skill tested. If you click on the grey part you see the names of the students who did not get that question correct! Can you spell RTI??? There it is for you! ESGI also tracks each individual student's progress. The grey circles turn green as each student masters the skills on each test. Your students LOVE to see their circles turn green, so they will often beg you to test them! 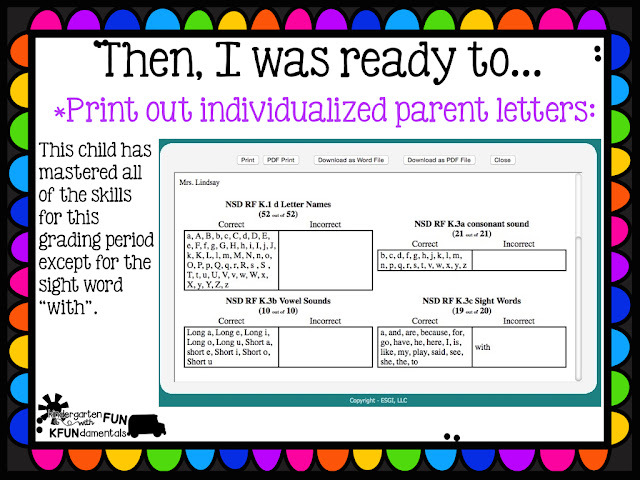 Individualized flashcards for each student! 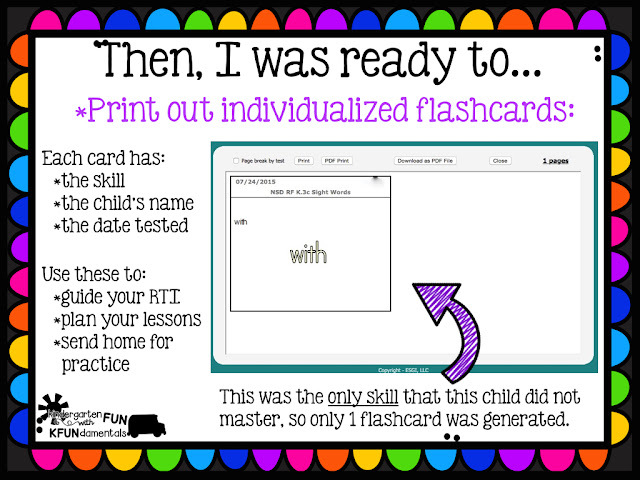 I called them "skill cards" because I stored each child's cards in a sandwich-sized ziplock bag to use as a reference as to which skills each child needed to work on. These are so much better than any report card, so I just stapled the parent letter to the front of the report card because it was easier to understand. They come in English or Spanish! 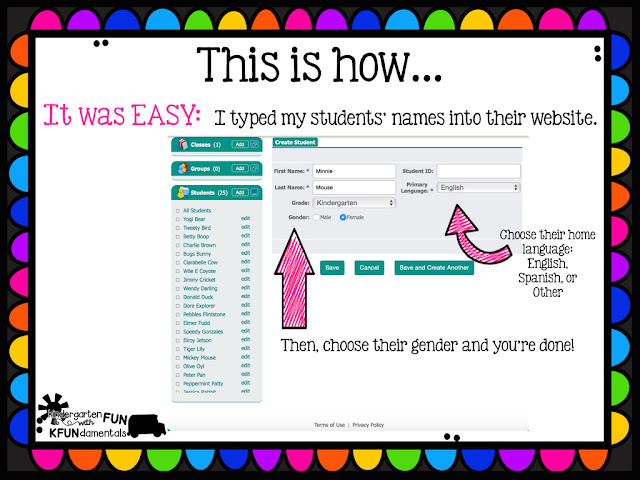 If your school or district decides to provide this for multiple teachers, there are even more discounts. 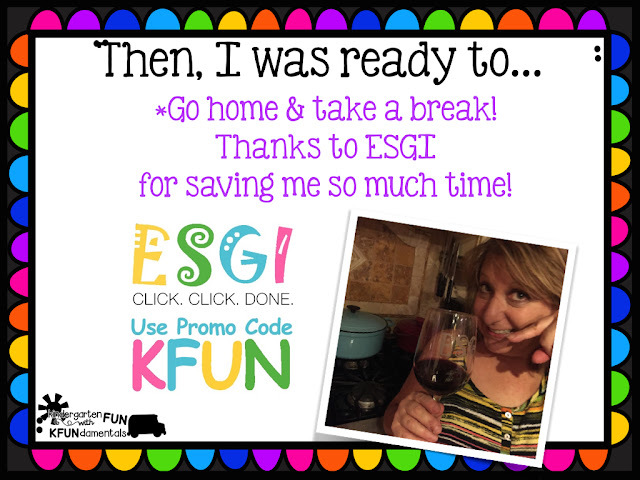 Get started with the code KFUN, and contact ESGI for further multi-teacher discounts. ESGI saved me so much time, I was able to actually go home and take a break! Start your FREE trial and you will be automatically entered to win one of 10 Amazon Gift Cards!